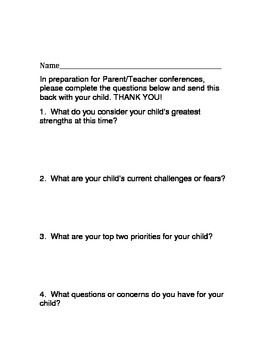 Send this page home with your students. Attach it to your conference schedule. This is a great way to get to know your students.